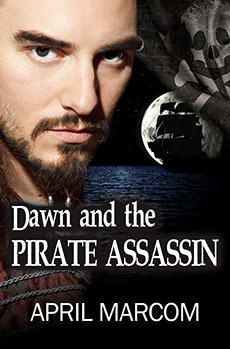 Dawn’s a woman on the run who’s just managed to escape one captor only to be taken prisoner by a band of infamous pirates. But this time it’s exactly what she wanted, because they’re after the late William Hollingsworth’s treasure, just as she is. Troy knows men will die in the search for this treasure. In fact, it seems an impossible task. What his men don’t know is that he’s captured Hollingsworth’s daughter, and she might be the answer to everything. As the two work grudgingly together, their stony hearts begin to soften and they soon discover something neither ever thought was possible: true love. Yet before their journey’s through, they’ll have to face three great obstacles: The Sea of Death where the dead walk among the living, a deadly dragon’s cave, and their own rigid hearts.